No? 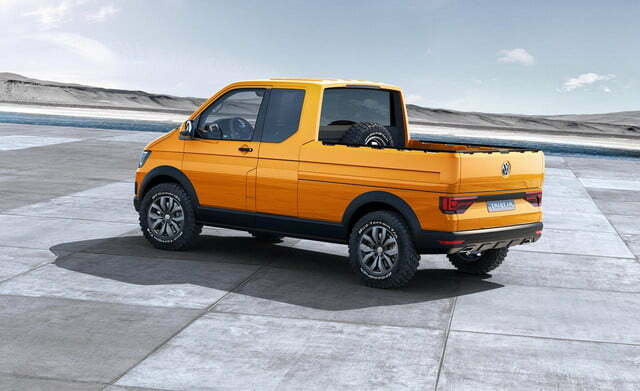 Well, somebody at Volkswagen did. 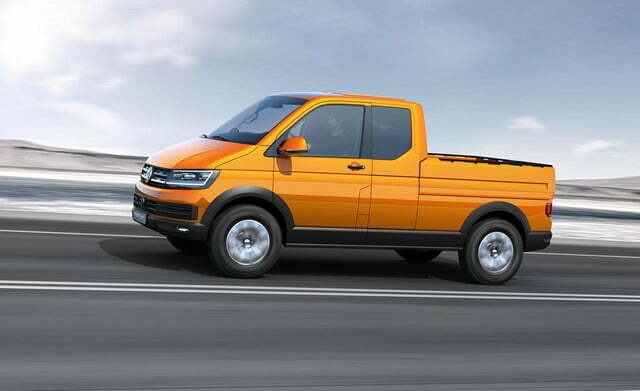 The company has just announced the TRISTAR, a half-van, half-truck hybrid at the IAA commercial vehicle conference in Hannover, Germany. Clearly, this is a creation that leaves vehicular classification at the worksite. The TRISTAR actually starts out as a short-wheelbase Transporter van, but somebody not named Jason Statham hacked away the rear portion of the roof. What you’re left with is a strange half-breed that can do a little bit of everything. Like a good truck, the TRISTAR can go off road. 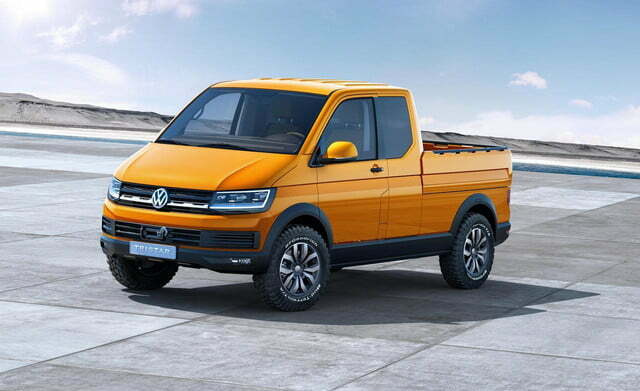 Volkswagen has stiffened the Transporter’s front end, added knobby tires, and fitted plastic body armor around the underbody contact points. The TRISTAR also has a locking rear axle, VW’s 4MOTION all-wheel drive system, and sits 1.2 inches higher than standard. Like a good van, the TRISTAR … well, it’s not that great as a van. 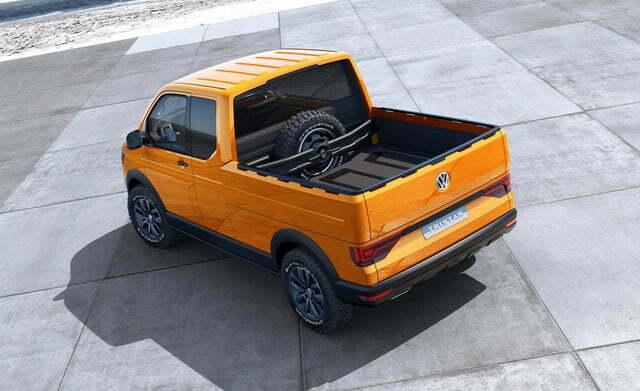 Because of the addition/subtraction necessary to create the truck bed, which features a spare tire mount and a watertight drawer, the odd VW only has two seats. The passengers are ensured an enjoyable voyage, however, because the TRISTAR’s cabin comes fully loaded with swivel chairs, a 20-inch tablet table, tons of storage, and an espresso machine. Yes, an espresso machine. 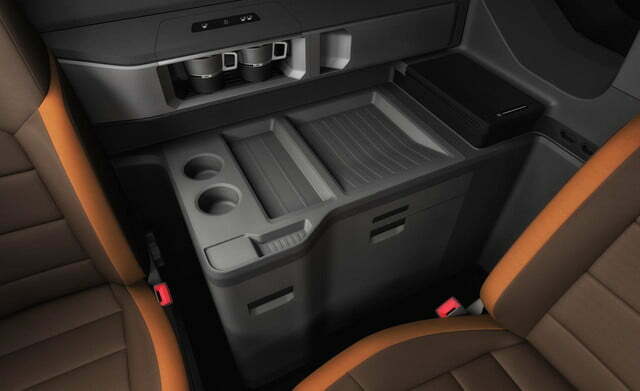 So, even though it may look like a scaled-up Lego vehicle, the TRISTAR is packed with professional-grade goodies. 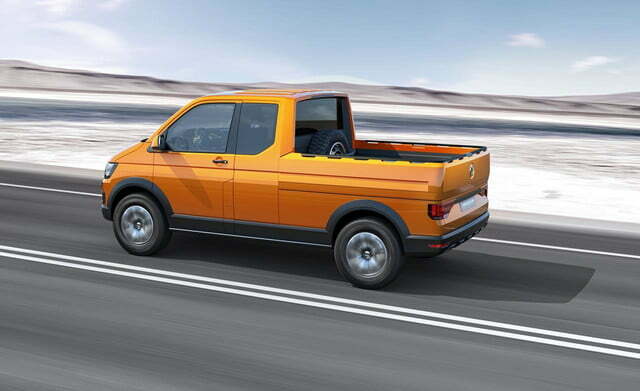 Volkswagen was also considerate enough to fit the TRISTAR with a 2.0-liter TDI engine, because anything more could jeopardize the integrity of the espresso machine. Still, the oddly shaped truck will hit 60 mph in 10 seconds, and continue to a top speed of 115 mph. Now, all that’s left is to write it off as a business expense.